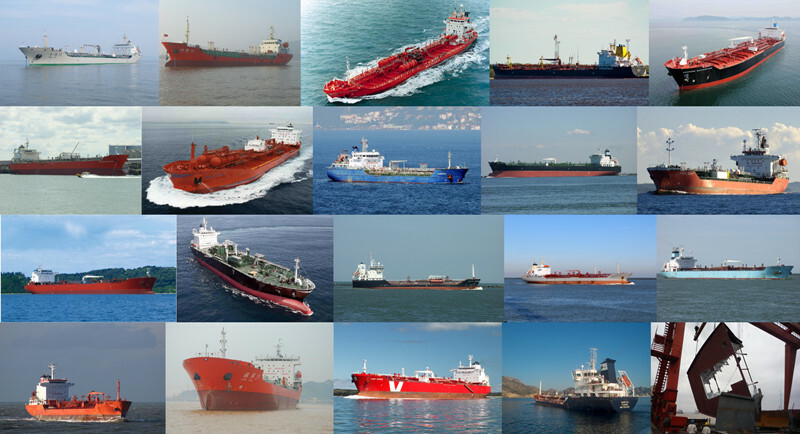 Product categories of Chemical Vessel, we are specialized manufacturers from China, Chemical Reaction Vessel, Chemical Reactor Vessel suppliers/factory, wholesale high-quality products of Chemical Tanker Vessel R & D and manufacturing, we have the perfect after-sales service and technical support. Look forward to your cooperation! A pressure vessel is a container designed to hold gases or liquids at a pressure substantially different from the ambient pressure. The pressure differential is dangerous, and fatal accidents have occurred in the history of pressure vessel development and operation. Consequently, pressure vessel design, manufacture, and operation are regulated by engineering authorities backed by legislation. For these reasons, the definition of a pressure vessel varies from country to country, but involves parameters such as maximum safe operating pressure and temperature, and are engineered with a safety factor, corrosion allowance, minimum design temperature (for brittle fracture), and involve nondestructive testing, such as ultrasonic testing, radiography, and pressure tests, usually involving water, also known as a hydrotest, but could be pneumatically tested involving air or another gas. The preferred test is hydrostatic testing because it's a much safer method of testing as it releases much less energy if fracture were to occur (water does not rapidly increase its volume while rapid depressurization occurs, unlike gases like air, i.e. gasses fail explosively). In the United States, as with many other countries, it is the law that vessels over a certain size and pressure (15 PSIg) be built to Code, in the United States that Code is the ASME Boiler and Pressure Vessel Code (BPVC), these vessels also require an Authorized Inspector to sign off on every new vessel constructed and each vessel has a nameplate with pertinent information about the vessel such as maximum allowable working pressure, maximum temperature, minimum design metal temperature, what company manufactured it, the date, its registration number (through the National Board), and ASME's official stamp for pressure vessels (U-stamp), making the vessel traceable and officially an ASME Code vessel. A 10,000 psi (69 MPa) pressure vessel from 1919, wrapped with high tensile steel banding and steel rods to secure the end caps. The earliest documented design of pressure vessels is described in the book Codex Madrid I, by Leonardo da Vinci, in 1495, where containers of pressurized air were theorized to lift heavy weights underwater,however vessels resembling what are used today did not come about until the 1800s where steam was generated in boilers helping to spur the industrial revolution.However, with poor material quality and manufacturing techniques along with improper knowledge of design, operation and maintenance there was a large number of damaging and often fatal explosions associated with these boilers and pressure vessels, with a death occurring on a nearly daily basis in the United States. Local providences and states in the US began enacting rules for constructing these vessels after some particularly devastating vessel failures occurred killing dozens of people at a time, which made it difficult for manufacturers to keep up with the varied rules from one location to another and the first pressure vessel code was developed starting in 1911 and released in 1914, starting the ASME Boiler and Pressure Vessel Code (BPVC).In an early effort to design a tank capable of withstanding pressures up to 10,000 psi (69 MPa), a 6-inch (150 mm) diameter tank was developed in 1919 that was spirally-wound with two layers of high tensile strength steel wire to prevent sidewall rupture, and the end caps longitudinally reinforced with lengthwise high-tensile rods.The need for high pressure and temperature vessels for petroleum refineries and chemical plants gave rise to vessels joined with welding instead of rivets (which were unsuitable for the pressures and temperatures required) and in 1920s and 1930s the BPVC included welding as an acceptable means of construction, and welding is the main means of joining metal vessels today. Composite overwrapped pressure vessel with titanium liner. Some pressure vessels are made of composite materials, such as filament wound composite using carbon fibre held in place with a polymer. Due to the very high tensile strength of carbon fibre these vessels can be very light, but are much more difficult to manufacture. The composite material may be wound around a metal liner, forming a composite overwrapped pressure vessel. Other very common materials include polymers such as PET in carbonated beverage containers and copper in plumbing. Pressure Vessels may also be constructed from concrete (PCV) or other materials which are weak in tension. Cabling, wrapped around the vessel or within the wall or the vessel itself, provides the necessary tension to resist the internal pressure. A "leakproof steel thin membrane" lines the internal wall of the vessel. Such vessels can be assembled from modular pieces and so have "no inherent size limitations". There is also a high order of redundancy thanks to the large number of individual cables resisting the internal pressure.